Springfield, OR, WPH Press, 2/26/19– The Eugene Handball Association was proud to present the 2019 EHA End of February Weekender to benefit the North Valley Community Foundation, helping Camp Fire victims. 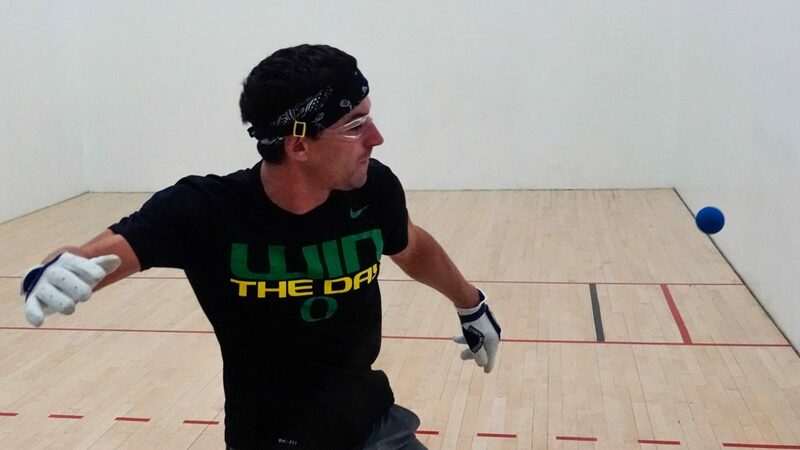 Tournament host and former R48 stop 20 pro and 7-time defending Oregon State singles champion Dalton Beall entered the event as the defending champion and arguably the most accomplished player in the history of Oregon. 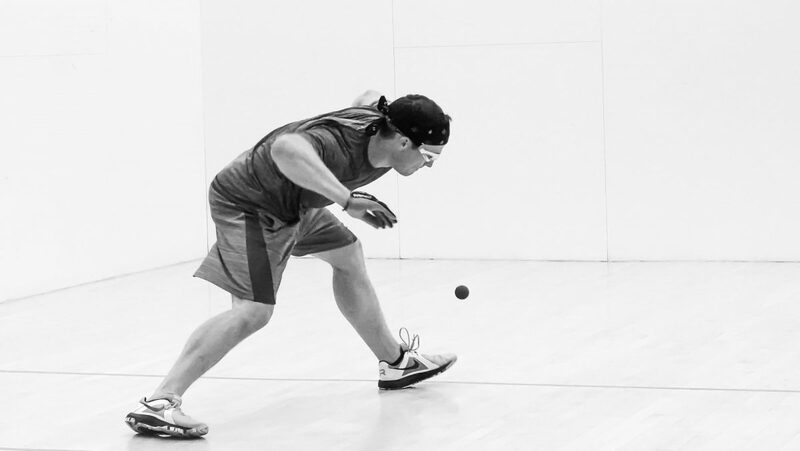 Beall was joined in a stellar Men’s Open singles field that included business partner and regular sparring foe Cody Townsend, Steve Stenberg, Michael Stenberg, Nick Flores, Kyle English and many more of Oregon’s best. Beall advanced to the final by overcoming professional model and “super athlete” Kyle English in the quarterfinals and the two-handed offensive juggernaut and Face Team Vice President Stephen Stenberg in the semifinals, while Townsend defeated Sean Steele in the quarterfinals and the rugged Bob Herrera in the semifinals. 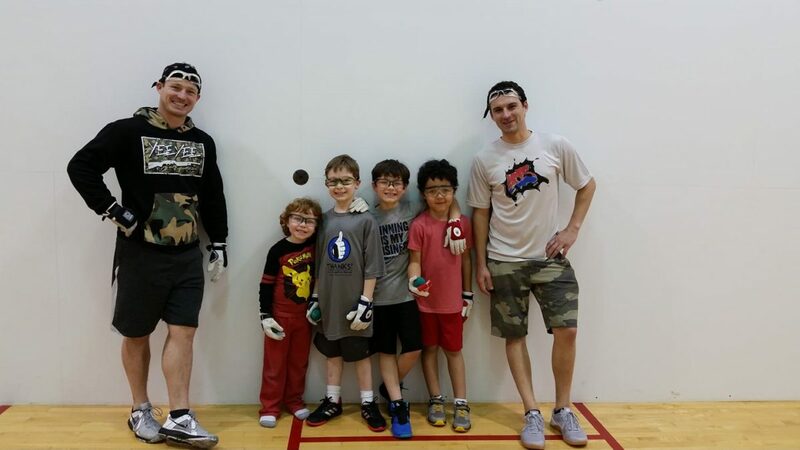 Before clashing in the final, Beall and Townsend dawned their JR WPH Coaching Hats, teaching a clinic for a group of awestruck 10-and-under future Oregon handball stars. “The kids were very excited to be on the court with the two best players in the Pacific Northwest, as they learned new skills while playing big ball short court,” stated WPH reporter/ambassador/50-year member Nick Flores. 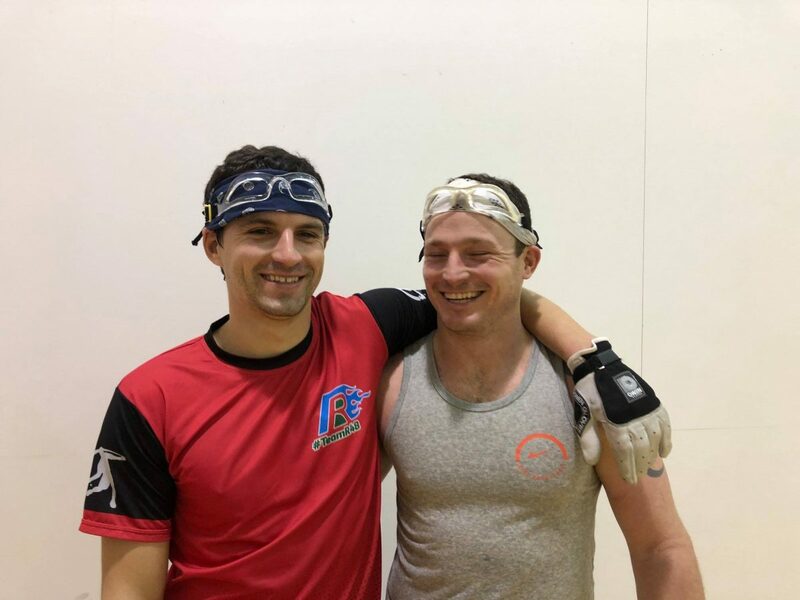 Following the clinic, Beall and Townsend put on a show in the final, with both players displaying sensational athleticism, speed, conditioning, and sportsmanship. Neither Oregon superstar would give an inch in the final, with both hitting the deck and the bottom board repeatedly throughout the three-game thriller. Nick Flores reporting court side from the finals: Playing in front of a packed gallery, Cody Townsend started off hot, running up a 6-0 lead in game one against the 7-time defending state champion Dalton Beall,” barked Flores. “However, Beall quickly found a higher gear and outscored Townsend 15-5 to take the first game 15-11. Townsend would showcase his athleticism in the second game, making incredible diving gets and hitting the ball behind his back when necessary, en route to a 15-8 victory to force a tiebreaker. “The hospitality at the End of February Weekender is second to none,” exclaimed Oregon State Chair Nick Flores. “Players enjoyed the Saturday evening barbecue, as the Beall family cooked up steak, shrimp, and scallops for dinner. Thank you to tournament host Dalton Beall and the Beall family, Dalton and Cody for coaching the JR WPH clinic, and Nick Flores for the updates and recap of the final.